The key market indicators show the oil prices could soon rebound to about $80 a barrel, Rosneft CEO Igor Sechin said, adding that the price may even bounce back to $110 a barrel if more projects are shelved. 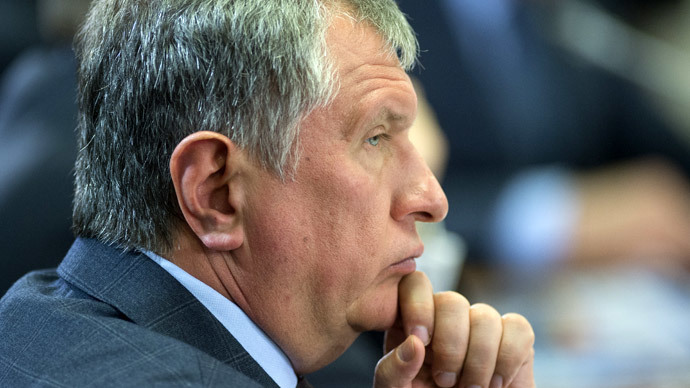 “Look at the market fundamentals and it seems prices should soon rebound to the $60 or $80 a barrel levels that would make it worth building the wells that the world needs,” Sechin wrote in an article for the FT. However, if markets are distorted, and the recovery takes longer than expected, many projects will be scrapped, and with demand returning, the price could rise to $90-110 a barrel or even higher. Many experts compare the current oil crisis to the one of the mid-80’s when the oil price fell more than 70 percent and remained at low levels for more than a decade. However, Sechin says the current crisis reminds him of “ripples on the water” as the current oversupply is far from the levels of 1985 and the demand for oil is expected to grow by 10 percent by 2020. Meanwhile, oil companies cut tens of thousands jobs in 2014 because of lower demand. Oil producers need to reduce their dependence on the excessive influence on the part of financial players, Sechin said, adding that it is necessary to achieve sales of at least 10-15 percent actually delivering some “physical oil,” rather than in the form of futures, as is happening now. The market is driven by financial speculation that outweighs the real balance of demand and supply, he said. “Financial markets tend to produce economic bubbles, and those bubbles tend to burst,” he said recalling the dotcom bust and the subprime mortgage crisis. Sechin calls on the international level for making exchange more transparent and prevent price manipulation. “Sharing market information, such as production and consumption volumes, prices and contract conditions, would make it harder for price distortions to persist. We should make sure analysts at investment banks do not have hidden conflicts of interest,” he said adding that both producers and consumers should be interested in working on a fair oil market, where prices reflect demand and supply. Any excessive regulations make things worse, said Sechin, recalling sanctions which distort the balance of supply and demand. He believes sanctions imposed against Iran affect oil supplies and trade balance while sanctions against Russia in the long-term will undermine Europe’s security of supply. Stopping the export of oil for more than four decades gives US refineries an unfair advantage over European companies. The regime of imposing levies on petroleum-based products in the EU distorts oil consumption markets, he said. “The fact that oil is taxed differently in different places further distorts the terms of trade and explains why oil markets in Europe and the US have been structured differently,” he said. World oil prices have lost more than 50 percent since July 2014. However, the trend of price recovery has been recently defined as positive with the price of Brent crude crossed the threshold of $60, trading at $61.55 at 14:00 PM MSK, and WTI trading at $52.51.